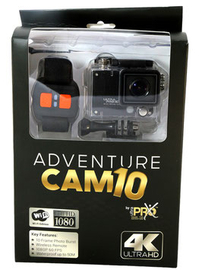 We offer a complete line of Sports Action cameras and Accessories. With quality and features that rival $300 and $400 models. Save Hundreds without compromising quality or features. All the accessories you can imagine. 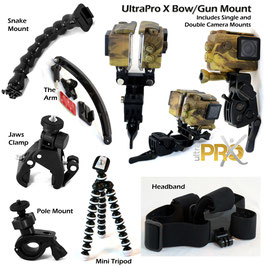 Mount and use your UltraProX or GoPro Camera for just about any situation. Plus expert help and advise is always available. We will put the Adventure Cam up against ANY camera on the market! 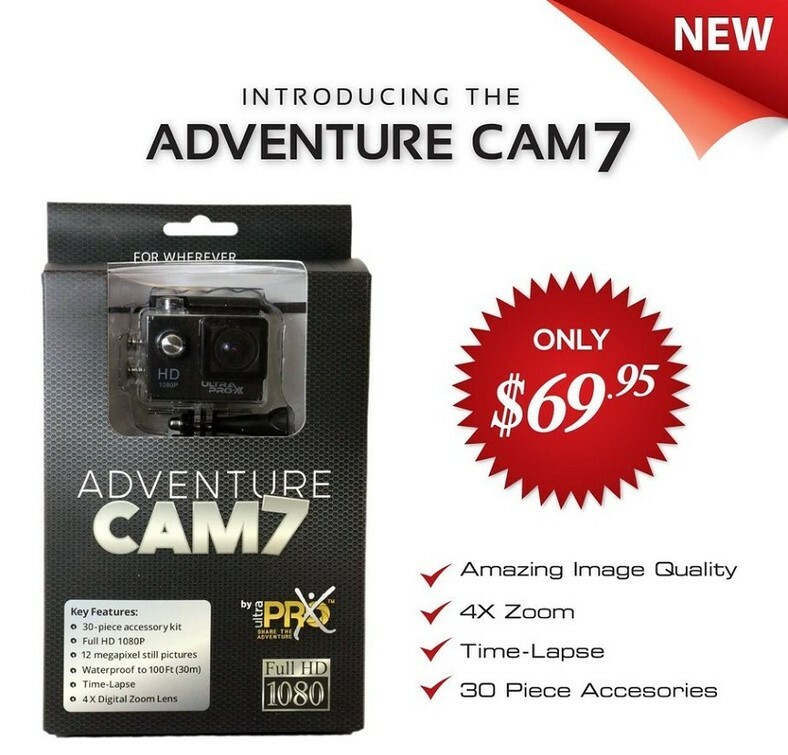 With truly amazing video and picture quality, UltraProX is proud to introduce the all new Adventure Cam 7. Making it perfect for many applications, Extreme conditions, photo-shooting, outdoor sports, Water Sports (up to 100 ft), etc. • Large 1.5 Inch High definition screen that displays and replays videos recorded. • Removable battery that is easy to replace and prolongs your camera's service life. • Still Pictures at 3, 5, 8 or 12 Megapixels. • Face Detection and Smile Detection. • Image Stabilizer • HDMI HD output. • Car Mode (camera can be used as a dash cam). Includes the necessary adapters and accessories to mount your camera in dozens of ways. Ultra HD 4K - Loaded with features! This camera is also FPV ready and includes a USB cable/Adapter to connect to your Drone or remote controlled device. Now Available with Optional Camouflage Case! Full HD Sports Action Camera for the Sports Action enthusiast. Quality throughout. 1 Year Warranty and all the accessories you need to get started. Makes it perfect for many applications, Extreme conditions, photo-shooting, outdoor sports, Water Sports (up to 100 ft), etc. High definition screen that displays and replays videos recorded. Removable battery that is easy to replace and prolongs your camera's service life. 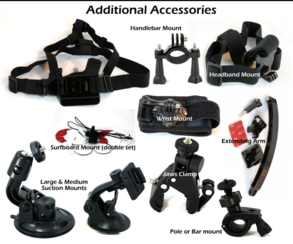 Includes all the necessary adapters and accessories to mount your camera to almost anything. Makes it perfect for many applications, Extreme conditions, photo-shooting, outdoor sports, Water Sports (up to 200 ft), etc. Available with optional Camouflage case.